The Top House Cleaning provides friendly, reliable and trustworthy dog walking services to dog owners in London. We understand and recognise the importance of these beloved pets to every individual. There will be instances where you will have no time walk your dog. No matter how much you want to do it, you just can’t, simply because of your hectic schedule. As a responsible dog owner, you need to provide the needs of your pets. We at The Top House Cleaning understand these needs and we are here to help you with your dog walking problems. We take pride on the excellent service that we provide by taking care of your dog’s needs. Our dog walkers will walk your dogs like they were ours and we make sure that the walk will be playful and enjoyable. We are dedicated in providing our customers with quality service. We make sure that we understand and have a full grasps of your dog’s special needs. Our service also comes with an affordable price. 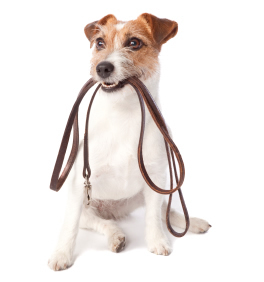 Our dog walkers London are equipped and skilled in terms of handling your pets so you do not have to worry. They have been well trained in all aspects of dog walking as well as the proper techniques of handling your dog’s special needs. You can now enjoy or concentrate on your daily activities without worrying about your dog. You can have a peaceful mind knowing the fact that your pet is in good hands. For more information and a free quote about our dog walking services London, please dial 020 3322 8291. We look forward to helping you out.